City Wide Towing - New Wave Inc.
City Wide Towing has been providing towing and roadside assistance services since 1963. 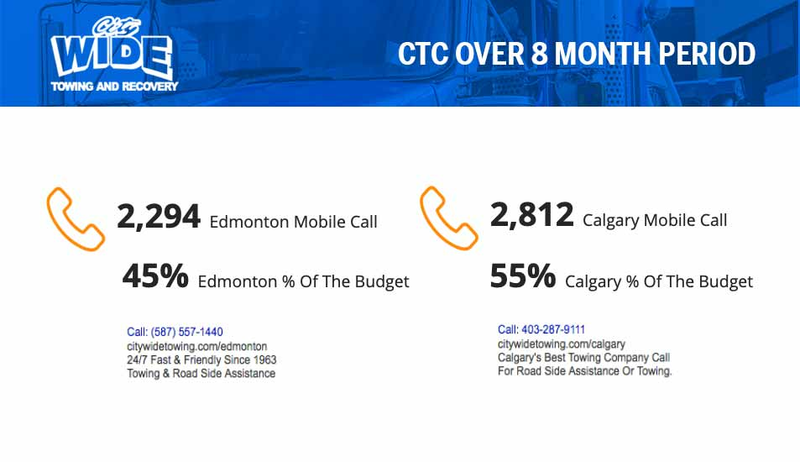 Providing services in Calgary, Edmonton, Red Deer, and surrounding area including Okotoks, Strathmore, and Airdrie, City Wide is a well known towing company throughout the province of Alberta. 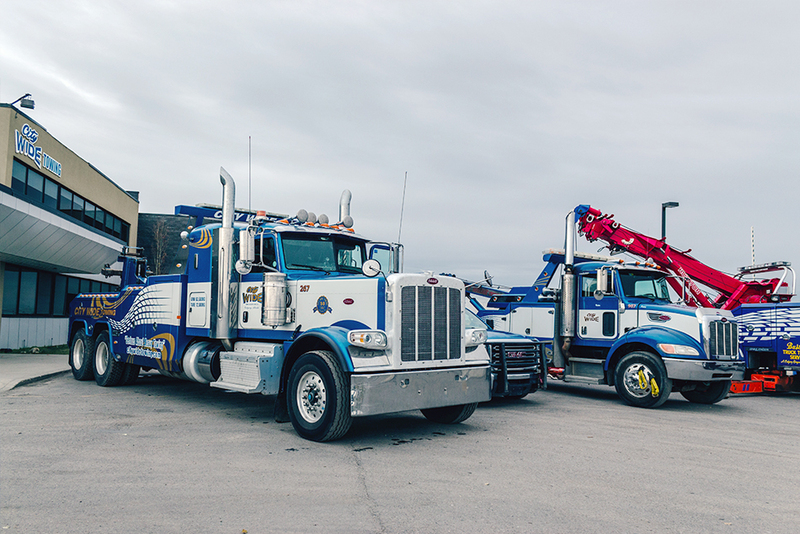 City Wide has acquired Key Towing as well as Towmasters and continues to grow as a towing powerhouse in Canada. 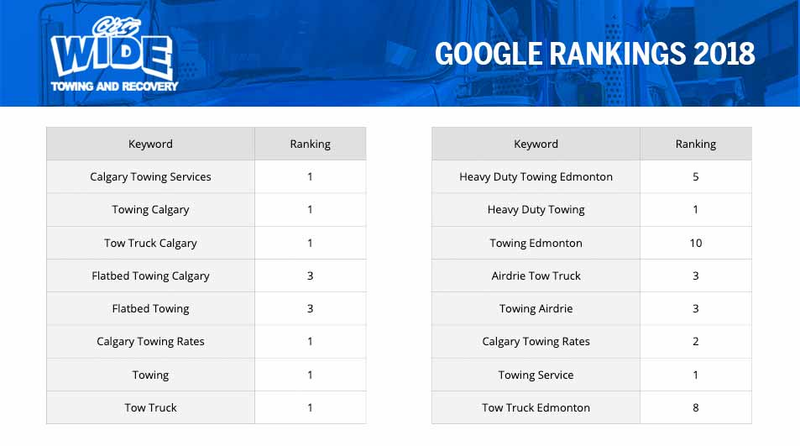 City Wide Towing sought out an experienced performance marketing full service agency who could strategize, manage, and optimize digital advertising efforts along with search engine optimization (SEO) efforts for the purpose of increased leads and revenue generation. 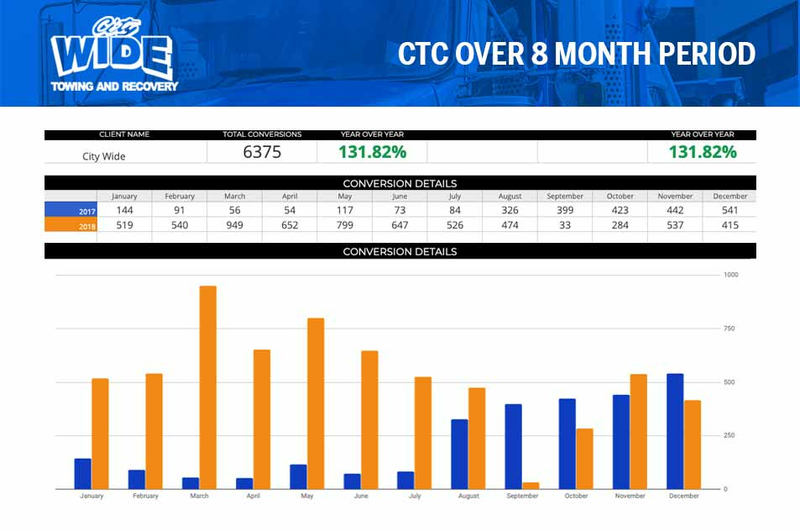 City Wide Towing sought out a performance marketing full service agency who could strategize, manage, and optimize digital advertising efforts along with search engine optimization (SEO) efforts for the purpose of increased leads and revenue generation. Our strategy focuses on developing landing pages and advertisements that both bolster SEO and bring in conversions for our client.